The Server 07794 Express™ pump is designed to fit on Express volume dispensing systems, pouched condiment stations, and slim pouched condiment stations. It can dispense thin, thick, and particulate product. 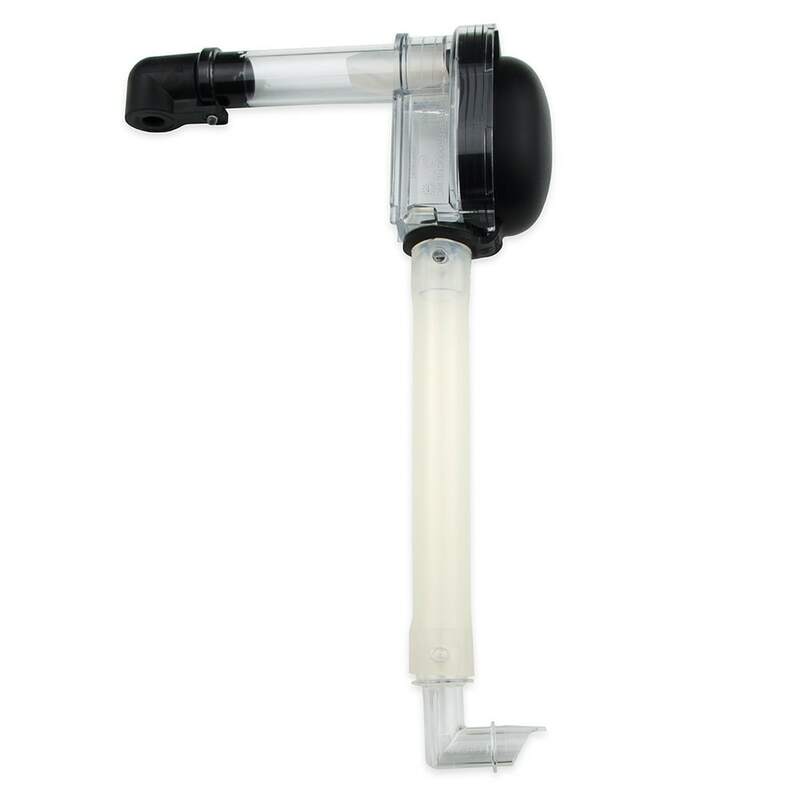 Although it has a maximum yield of 1 ounce, this pump's stroke adjusts in 1⁄4-ounce increments. 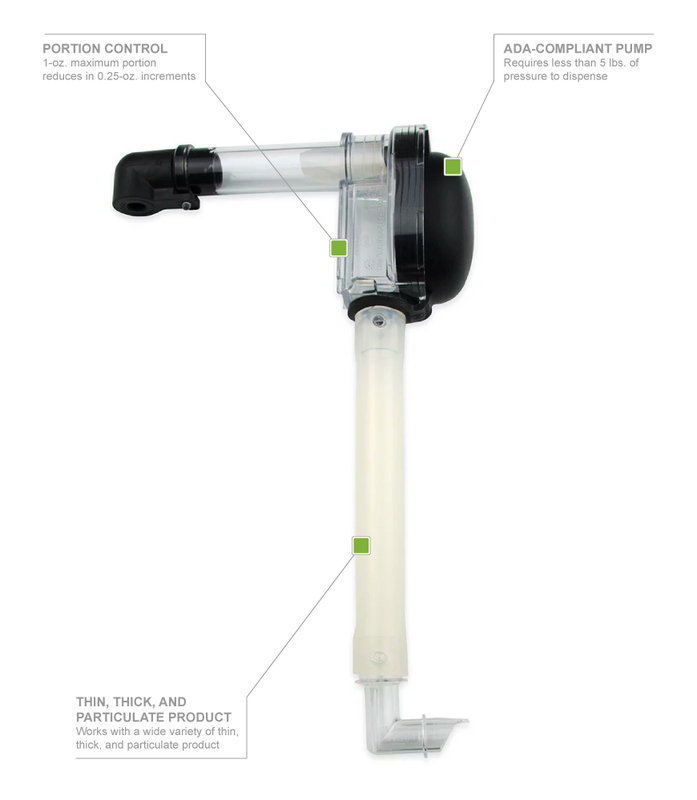 The end of the pump is attached to a 11⁄2-gallon pouch where product is stored. This pump is ADA compliant since it takes less than 5 pounds of pressure to dispense product.